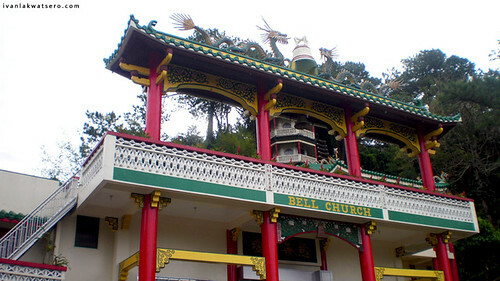 Bell Church, a hidden Taoist temple located at the border of Baguio and La Trinidad. 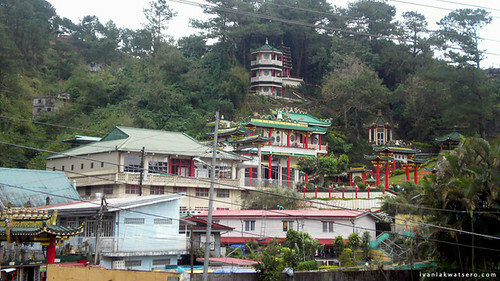 This Taoist temple is one of Baguio City's famous landmarks that we're aiming to visit. 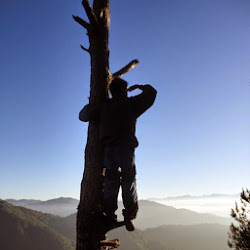 So after our sweet strawberry encounter at the Strawberry Farm, we went next to Bell Church found at the border of La Trinidad and Baguio city. 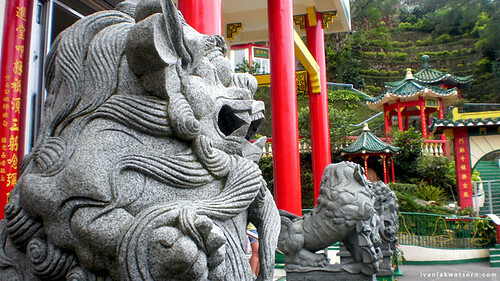 A Chinese arch with well-carved designs of dragons and bells marks the entrance to this hidden temple. 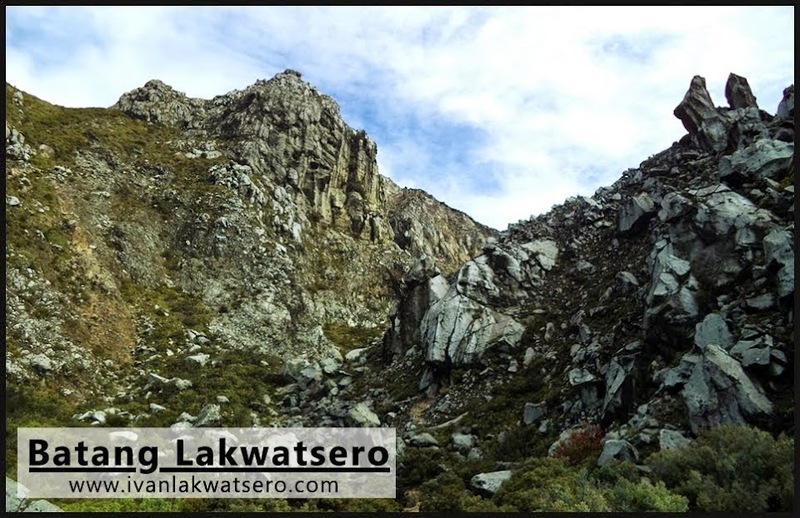 And as we entered this archway, there was a feeling that we're shifted to a different place. 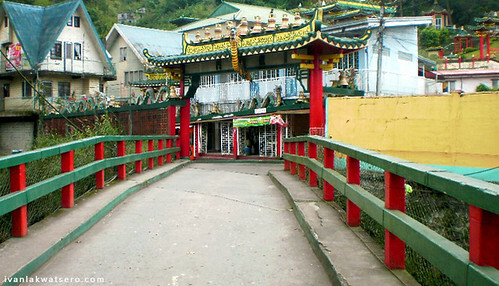 The bridge, the houses, the walls, all are tinted with hues of green and red, and statues of dragons and bells dominate the path that leads to the main entrance of the Bell Church. Welcome to China in the city of pines! Serenity is the word that defines the temple. 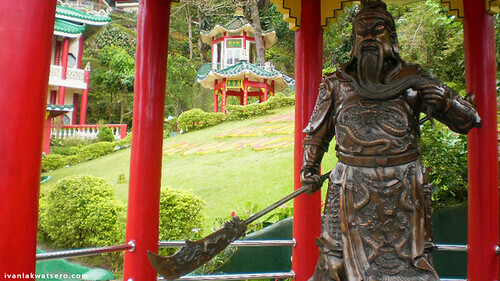 If you're not Chinese or a Taoist, there's nothing much you can do around except feeling its peaceful ambiance. 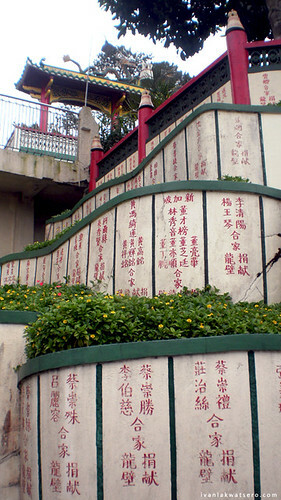 Written on the walls are Chinese characters which I don't understand. 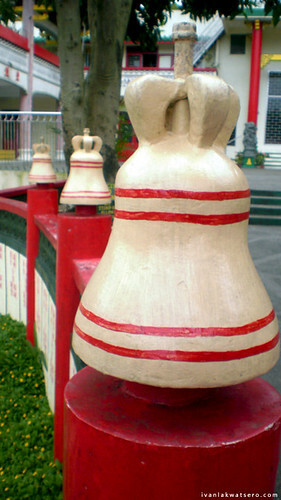 Bells are the prominent figure you'll see around the temple, don't ask me why. 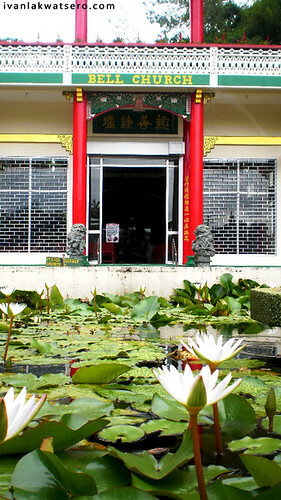 Fu dogs guard the entrance to the temple. 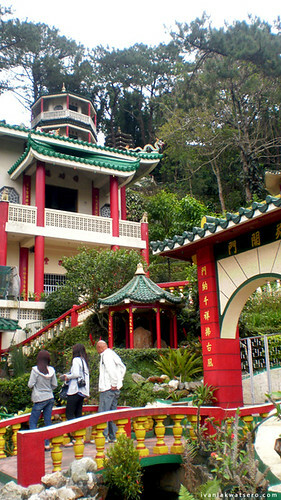 There's a pagoda located at a higher ground, and we're not allowed to go there. It's quite pretty dark inside the Taoist temple. Bells all over the place. the Bell Church seen from the highway. After a quick 15 minutes stay at the temple's garden, we headed right away to La Brea Inn for check out.